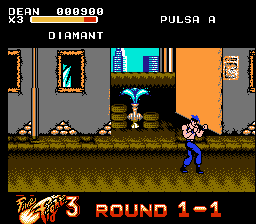 Final Fight 3 is an action beat ‘em up game for the Nintendo Entertainment System. 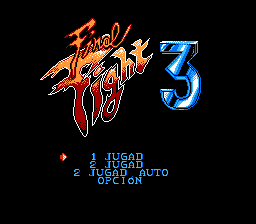 This is a port of the Super Nintendo of the same title. 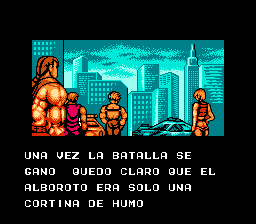 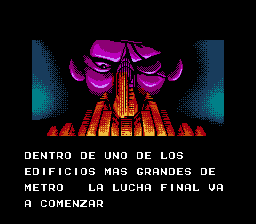 Translation to Spanish for “Final Fight 3″, for the Nintendo Entertainment System. 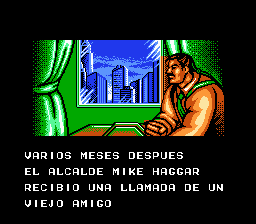 This is an unlicensed game.